The SparkleTeam Program lets you choose the amount of your initial investment according to the additional revenue you would like your company to earn. In addition, as a SparkleTeam Partner, you can continue to increase your revenue over time, thereby expanding your business. SparkleTeam prides itself on offering the most responsive, professional and reliable Customer Service support and Quality Management for business cleaning services in the industry. Using proprietary quality management software, all parties including you, SparkleTeam Customer Service, Director of Quality Management and the Property/Facility Manager, are made aware of any issues immediately upon completion of Site Survey Reports (as shown on right). Because the flow of communication is fluid, problems are easily avoided and you can continue to run your business smoothly. Truly, real-time reports with real-time impact. By using LEED-based cleaning practices for every account serviced, SparkleTeam is known in the industry for using the highest standard of cleaning, and every SparkleTeam customer receives this high level of cleaning. 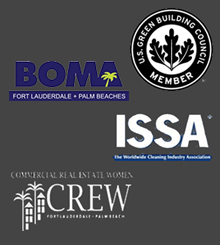 As a SparkleTeam Partner, this is used to differentiate your business from other janitorial companies in the industry who may or may not offer green cleaning in addition to their standard cleaning services. 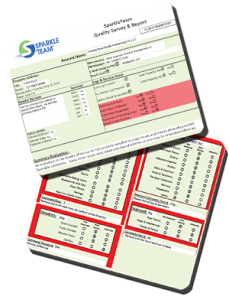 SparkleTeam has been servicing South Florida for over 10 years and has built a brand reputation that stands for quality. In the past several years, SparkleTeam’s best source of new Partners have been referrals, which truly speaks to our reputation in the community and the industry.